Having your motorbike impounded can be a very expensive business; impound charges and police fines can add up to hundreds of pounds - and no one wants to be stung with higher insurance premiums on top of all that. Whether you had a mix up with a previous insurance company, had your bike on the road side without insurance or your policy had expired, - having your motorbike impounded can have a real knock-on effect. Even if the impounding wasn't your fault, many insurers will react to the situation by either not offering cover when you need it most charging much more money for your insurance premiums, adding insult to injury. Since you will have to get insurance to leave the impound where your bike is held and many insurance companies will refuse to issue you with cover, you may feel that you have nowhere to turn. Even if you do have impounded motorbike insurance, any police conviction you receive afterwards could mean that some companies will continue to charge much higher rates in the future, and some may even refuse to cover you. Luckily you don't need to feel helpless and forced to make a difficult choice between the best protection for your bike and an affordable policy. As well as great value motorbike insurance for seized bikes and quads, we can also offer impounded scooter insurance, protecting your pride and joy, no matter what form it takes. 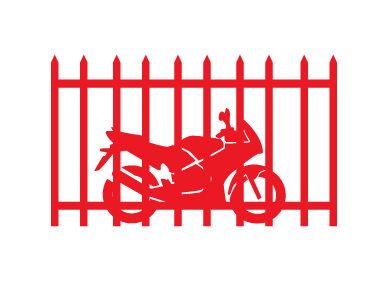 If all you need is short period cover to get the bike out of the impound, that can be arranged too but do check to see the minimum cover you require for your bike to be released. At Bikesure we prefer to do things a little differently, meaning that we choose not to refuse impounded motorcycle insurance for people who make one mistake, or hike up the premiums of bikers without checking their story first. We take care to ensure that everyone's circumstances and motoring backgrounds are taken into account when we quote, helping you get the cover you need. Important: You must tell us that your bike is impounded as it may affect your ability to get the bike released. At Bikesure we work hard to help our customers find the best impounded motorbike insurance for them; a policy that offers the right cover at an affordable price. We put your circumstances and needs first to help you get out of a difficult situation. Operating from Norfolk-based call centres, staffed by real people, not just a frustrating computer menu, you can get the very best service by getting in touch today. With decades of experience, and our position as part of the UK's largest specialist insurance broker, we have the background to help you find insurance when others can't or won't. To speak to someone about impounded bike insurance right now, call 0344 381 4586 or complete a callback form to arrange for us to ring you at a time convenient for you. As well as reliable and trustworthy service, Bikesure prides itself on offering top quality policies - insurance that combines the perfect cover with a premium that you can afford. From streetfighters to superbikes, quadbikes to bicycles, we can find cover for you to ride almost any bike of your choosing - we even offer impounded scooter insurance. We offer cover for a wide range of modifications to your bike, both for performance and aesthetics, on a like-for-like basis. Whether you're young or old, inexperienced or a seasoned rider, Bikesure can help find cover for you, even if you have motoring convictions, or a criminal record. A massive range of discounts are available for all kinds of riders and bikes, from experienced rider bonuses to limited mileage policies and owners club memberships. We offer a great variety of add-ons to each policy, including breakdown cover, helmet and leathers cover and much more. With a UK-based call centre staffed by experienced insurance specialists, you can be confident of getting through to someone who knows exactly what they're talking about each time you call. I'd been struggling to get any cover for my bike because of a lengthy prison sentence I served for crimes I committed when I was young. But I'm much older now and Bikesure took into account the length of time since the conviction and the rehabilitation work I've undertaken. Paul, 40, had a 2006 Suzuki worth £4,000 which was impounded due to a clerical error regarding his insurance cover. He had maximum no claims bonus and had held a licence for more than 10 years and Bikesure were able to help him get out of this situation. Gary, 43, also had problems getting motorcycle insurance after his bike was impounded. He needed his 2003 Honda CBF600 for £1,200 to commute to work and urgently needed it to be released. He has held a full category A licence for more than 20 years and he too discovered Bikesure could take his individual circumstances and come up with a solution to get him back on the road. Tom, 28, had a £3,000 2008-registered Kawasaki which was impounded when he left it parked on private land in error. Tom had zero no claims bonus and tried a number of insurers without success before getting good news and a great deal from Bikesure. Kieran, 31, bought a Yamaha YBR 125 to help him get to and from work but a mix up with the previous owners led to the bike being impounded. The bike is only worth £900, but Kieran is relatively new to biking having passed his CBT in June. He currently holds a provisional licence and hasn't any no claims bonus to use. 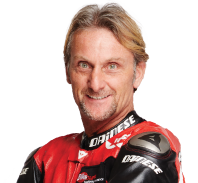 Despite that, Bikesure looked at his case and helped to free his newly acquired pride and joy.